YouTube Music Key vs Spotify: Which streaming service will come out on top? 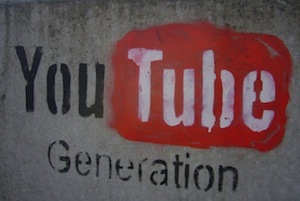 YouTube vs Spotify: Which will come out on top? Google has launched its YouTube Music Key subscription service - and it may upset Spotify more than Taylor Swift did. Google has finally unveiled its long-awaited YouTube Music Key subscription service, after settling a dispute with thousands of indie labels that escalated to a threat by YouTube to pull artists including Adele and Arctic Monkeys off the site altogether. YouTube will be offering ad-free video and audio-only music streaming for £9.99/$9.99/€9.99 a month, although it’s currently only available to selected ‘beta’ users for the next six months. It’s that simple: YouTube has music videos and Spotify doesn’t. Where else are you going to watch all that bumping and grinding? A big plus for YouTube is all the hidden musical gems amid the 100 hours of videos uploaded every minute (most of which probably feature cats). Spotify simply doesn’t have the enormous reach that its rival has, which has encouraged artists to put up countless live performances, outtakes, covers and interviews for the delectation of YouTube’s 1 billion monthly users. The multi-millionaire songstress surprised everyone by pulling her entire back catalogue off Spotify last week, the week after her latest album sold a disruption-defying 1.29 million copies. It was a blow to the Swedish streamer – 16 million of its users had played her songs in the month before they disappeared from the service, but less to Swift, who can afford to give up the extra exposure and royalties it affords. But now YouTube and its mega social pull is joining the streaming party, more artists might be emboldened to play hard ball with Spotify. There is no word on how much it will be paying artists compared to other streamers, but Brad Nevin, the chief exec of The Orchard group of indie labels, told the BBC the deal was both fair and a ‘phenomenal opportunity’. Music Key subscriptions will bundle in access to the audio-only Google Play, which Google doesn’t release stats about, but which industry experts estimate is far less successful than Spotify, which has 50 million active users, 12.5 million of them paying. What it isn’t doing, though, is offering video and audio-only streaming together in a single app. In this age of short attention spans, ease and simplicity of use is everything (especially as many potential subscribers won’t have sufficient bandwith or enough data on their phones to stream files as large as videos). YouTube needs to win among music fans who already use it, then – and Spotify’s paying subscribers who like videos now have a big reason to make the leap. But a significant proportion of YouTube users are in it for the free stuff, and for those who hate ads there are plenty of ad blockers out there – ironically, a simple Google is all you need to find them. As McQuivey put it, ‘YouTube is a form of cheating the music system, and has been for a long time, because people have been putting music up there without authorising it from the labels. Nonetheless, McQuivey estimates that 10 million of YouTube’s users would end up paying out – and if even a couple of million of those are Spotify deserters, the original streamer, which is still loss-making, has a problem.